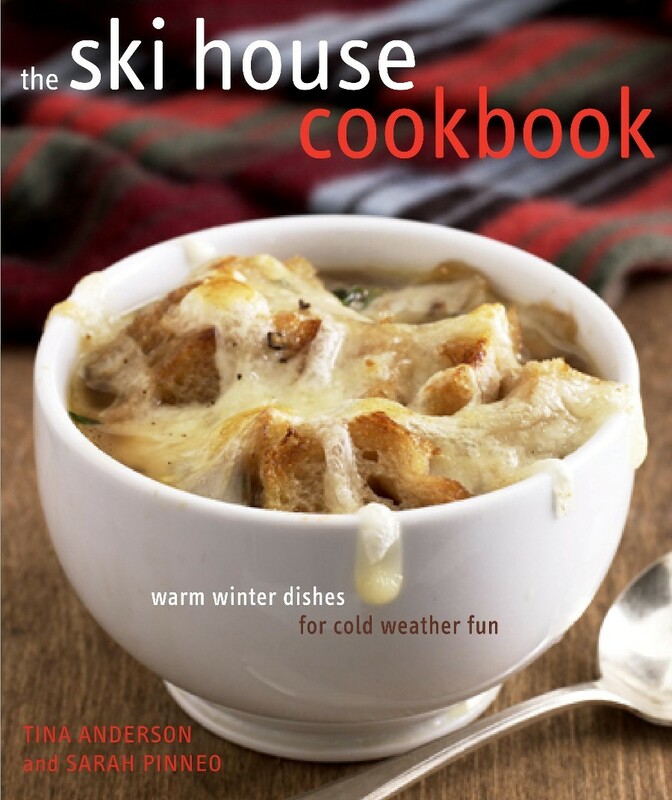 When our agent was shopping The Ski House Cookbook to publishers, she often heard this criticism: "the market for that book is too small. Too niche." (Luckily Random House disagreed.) But here's the silver lining: books which have a target market which is crystal clear (in this case ski enthusiasts who cook) are the easiest to publicize. In other words, if you can define your audience, you can reach it. My co-author Tina and I had a lot of fun with this concept. We saw early on that it wouldn't work to just follow the well trodden path of a generic book launch. Scheduling a signing at a NYC Barnes & Noble seemed like a bad idea. If only 1 in 10 New Yorkers skis during any given winter (I don't know the real number, but I'd guess it's a small percentage) we imagined we might be in for some very lonely book signings. At a ski mountain, of course. So we asked Vermont resorts to host signing events. Their response: "Huh. We've never had a book signing before." But then they said: "Sure, what the heck." After all, ski mountains like to advertise events. They too need to draw customers, to stay relevant. Sure, holding a signing outside a store was a little awkward. Book signings are held in stores because booksellers know what they're doing, and they're set up to sell books. Tina and I were just flying by the seats of our ski pants. We set up in the ski lodge for a 2:30 to 4:30 or so signing, hoping to catch skiers as they were coming off the mountain, ready for a drink or a snack. We brought gingerbread cake (a recipe from the book) and kettle corn. That part was easy enough. Many people took one of our food offerings, gave us an odd look and then ambled away. But we also made sales. A couple of women even approached our table to say: "I love your book! A friend gave it to me as a hostess gift, and I cook from it all the time!" The logistics weren't easy. Our least fruitful signing was the one we drove for eight hours through a blizzard to reach. But going off piste with our publicity strategy never felt like a waste of time. We knew we were in the right place, in the right moment. Now that I have a novel to publicize, I'm trying not to forget the odd lessons I learned selling cookbooks to families with helmet hair. Almost by definition any novel has a less well defined audience than The Ski House Cookbook. But that doesn't mean it's completely undefinable. My new book should appeal to... let's see: foodies, Brooklyn moms, Vermonters, Mompreneurs, organic gurus and goat farmers, and anyone who carries an eco-friendly diaper bag. Good thing I've got seven months to figure out just where to find them. And I hope they like gingerbread. I would like someone to write a book targeted at people with bed hair. Maybe that'll be my next project.